The Character of Night half mask was created in 2015 for a Production of Amphytrion by Moliere at the NYU Gallatin School of Individualized Study directed by Matthew Gregory. Many of the same masks were used in production of Jason and the Argonauts directed by Michael Brown that was produced in Hong Kong. 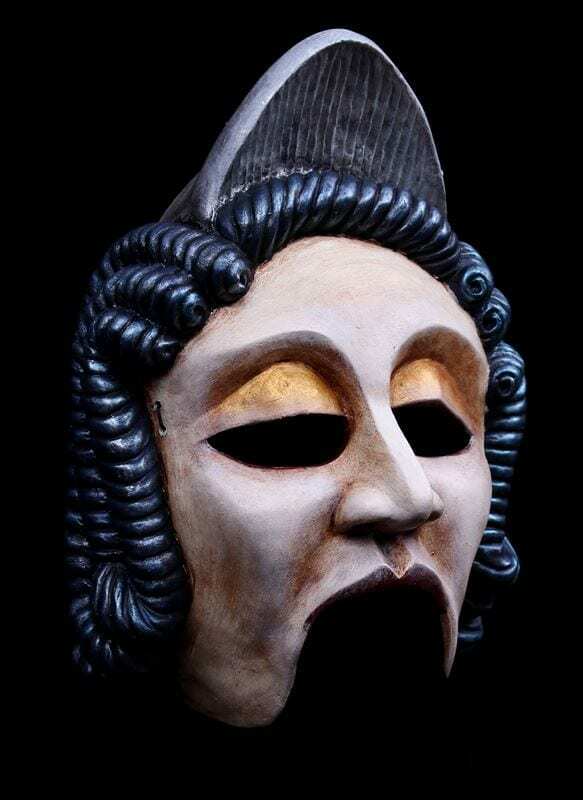 This half mask is also usable for many of the female characters in Greek Theater. She is calm, regal, aloof and capable of great severity. She looks down upon the world with a cool gaze and a sense of the universe going on forever into the heavens.